Plan your wine country trip with IntoWine's interactive map of California's wine country. Includes winery profiles and pictures as well as articles listing the best wineries for picnics, tours, beautiful views, wedding receptions, and more. Deep ruby in color. The nose is slightly dusty with black cherries. On the palate, this has ripe black cherries. This seemed different than earlier vintages. LVMH bought this winery in 2008 so perhaps a bit different in philosophy. Not as concentrated and wild. It is a very good wine that will work with a wide variety of foods. 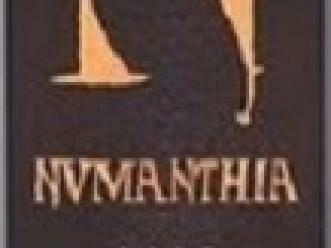 An excellent bottle but not one of the better vintages of Numanthia. Deep ruby in color. The nose has clay, dust and plenty of black cherries. A bit thinner in body than other vintages. Nice black cherry fruit on the palate. Drinking fine right now. Very food friendly for a wide range of foods. Of course, 2003 was an extremely hot vintage all across Spain. Some wines were over ripe while in other cases, the vines simply shut down causing under ripe wines. No worries here. This wine was excellent. Deep ruby in color if a bit flat. The nose is interesting. Dusty with cherries and black cherries and a hint of mint. On the palate, this has lush black cherries. Some initial heat but it smoothed out with a bit of air. It is a bit riper than most vintages but not too much. Drinking well now and for the next five to ten years. I seem to have had a lot of bottle variation with this one. Or, given that this is usually the last bottle of the night, maybe it is palate variation. In any event, this wine is always good to great and this bottle was in the middle. Deep golden/orange in color. The nose has honey and apricots. On the palate, this is sweet but nowhere near cloying. Enough acidity. The honey notes come thru and pick up peaches. Nice finish to the wine and to the evening! Another Washington wine that was nice to try. 97% Cabernet Sauvignon and 3% Petite Verdot. Purple in color, ruby at the rim. The nose is nice with cassis, some chocolate, a bit of blueberries and spice. On the palate, this has a lush texture. It is tight but with air opens in the glass. Cassis and blueberry fruit with spice and oak. It needs a few years and will probably improve by a point or two. Nice finish. It is concentrated but a big wine and will need bigger foods or great on its own. Purple in color, ruby at the rim. The nose is dusty with some black cherries and cigar box. On the palate, there is some black cherry fruit. No tannins to speak of. Not much depth but some complexity. Good acidity. Classic aged Bordeaux although given the pedigree, more was expected. Still, a fine wine to serve with dinner. It is probably past prime and these should be drunk up.